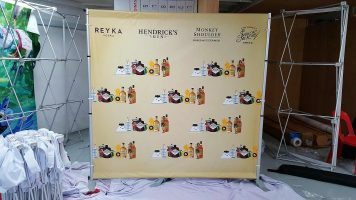 Portable Backdrop Stands for photo booth backdrop. 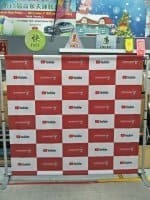 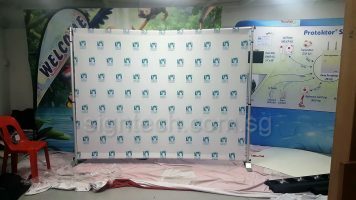 This portable backdrop stand for photography is great for displaying photo booth backdrop. 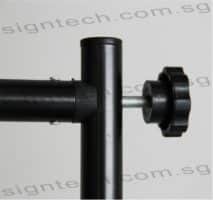 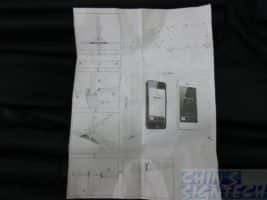 The telescopic metal tubes can allow user to adjust the graphic size accordingly. 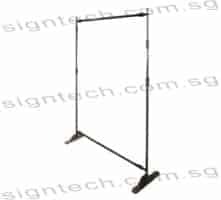 The support base is more compact and look nicer, compare to those photo booth tripod base stands which are broader and occupy space. 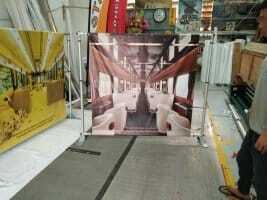 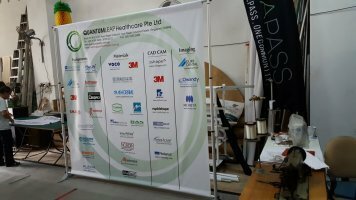 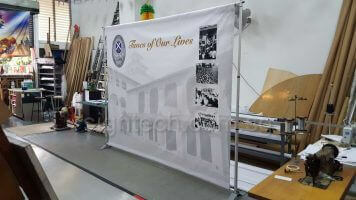 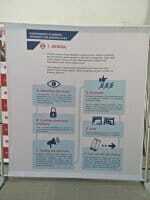 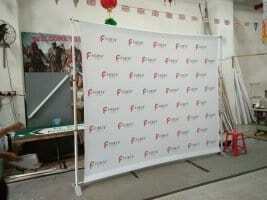 Max banner size Length 2.9 x 2.4m Height. 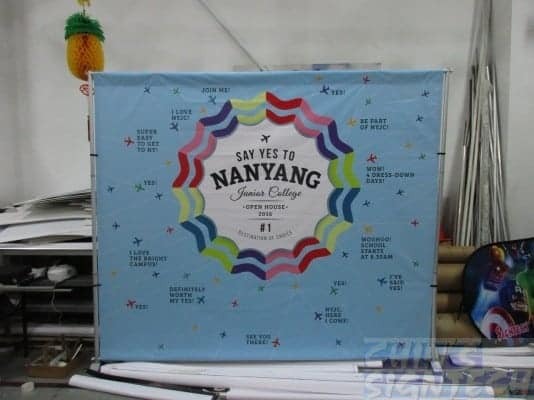 Min banner size 134 x 95cm. 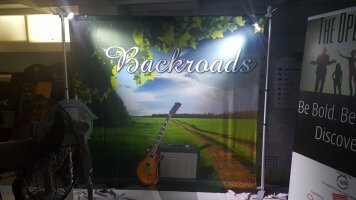 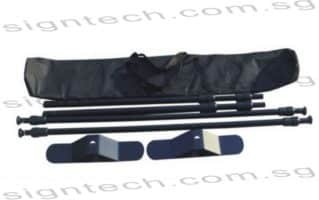 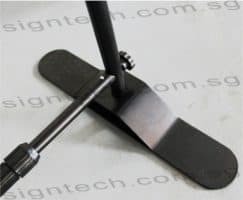 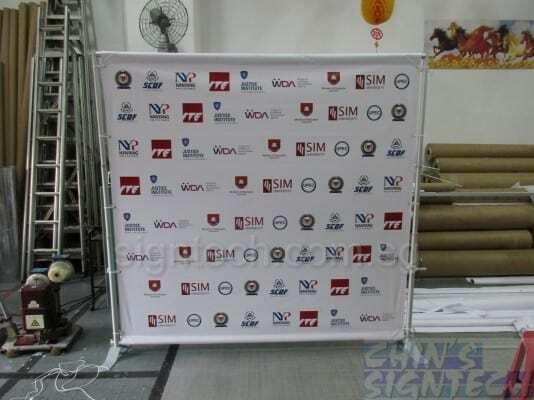 This portable backdrop stand is a heavy duty, versatile tool for displaying backdrop. 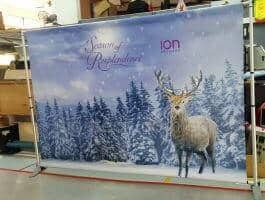 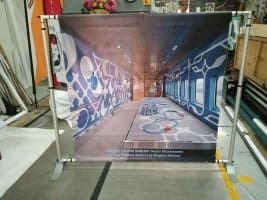 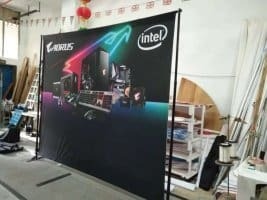 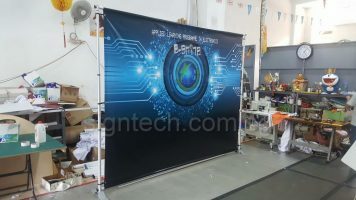 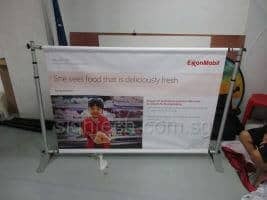 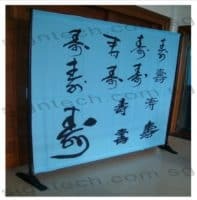 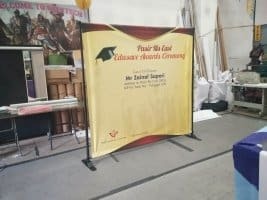 The telescopic tubes made of aluminum alloy allow great flexibility for banner size and the iron-steel feet support the whole frame with great stability. 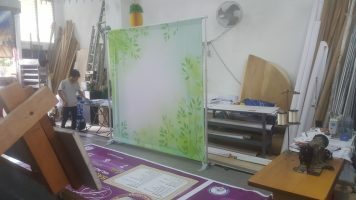 It is very simple, ease of use, just as it seems. 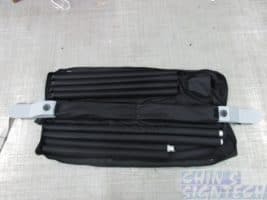 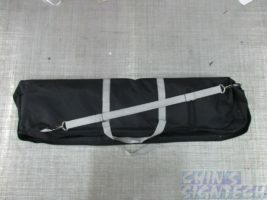 With a come-together heavy duty carrying bag, it is also highly portable. 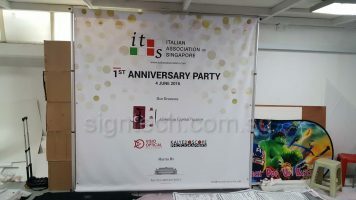 Fabric printing is $220 (2.9 x 2.4 meter) Advantage of fabric is crease and wrinkles are removed easily once stretched. 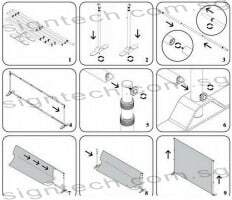 It can be used many times.